What services offered by mobile telephony companies in Argentina? Which company covers a larger market? The communication in the Argentinean country has been growing so surprisingly compared with many previous years, which is why the number of mobile phone companies has increased; well actually this happens to be a great benefit for users who are daily in search of new forms of communication. Next we will make mention of the most distinguished telephone companies in Argentina. Nextel : It actually is one of the most established companies. His great radio coverage rate reaches the most of the locations in Argentina. Its services include commercial plans, business and individuals. Besides it is offering great promotions and benefits for the user. The mobile equipments can be purchased with different types of connections, such as total direct connection, international direct connection and direct connection web. Nextel is one of the first companies that launched the Blackberry, which even today is still valid and accepted by users. Among its latest developments we can certainly find the Nextel online store and of course the Nextel Locator. Movistar : Movistar in Argentina has a great success; this is because it is always in the search for new forms of communication and new models of phones. This company has great promotions and discounts on their plans and equipment. Their services are mobile telephone signal and internet. 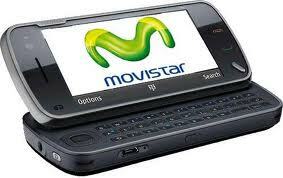 Movistar has a lot of plans like control, express, prepaid, postpaid and home. It counts with a high bandwidth to connect to Internet without interruption, which is available for computers and equipment. Their top equipments are the Blackberry 8520 and the Nokia 7230. Personal : This new company takes great time offering services of voice and text messaging in Argentina. It has big plans and packages for mobile devices. His latest acquisition is the Nokia N8. Its website offers to the users a great entertainment services, such as music, ringtones, games, videos and backgrounds for cell phones. Another network services is the Internet, which can be purchased for the computer and the equipment. Their internet signal type is ADSL broadband. His latest addition is the mobile internet with USB modem, which has plans to meet the user’s pocket. Claro : This Company is a pioneer in Argentina. The services provided are of great technological advancement. Its main services are mobile telephony, fixed telephony and internet. The mobile equipment can be purchased with such big plans prepaid and postpaid. It also has great packages that include fixed telephony, mobile telephony and internet only annual or monthly payment. Its interactive website allows users to browse through the different news media. Their latest released mobile device is the Nokia C7 which counts with internet signal and it is called 3G, Wi-Fi and GPS integrated. Of course, Claro today has established itself as the company with greater acceptance in the Argentinean market.